Now that Markham is cooling down in anticipation for the Winter, you have likely noticed a sharp increase in your monthly utility and energy bills. Your furnace will always use energy to heat up your house, but making your furnace and home as energy efficient as possible is the key to saving money and being environmentally friendly. Learn about what you can do in your home to make sure you’re being as energy efficient as possible by reading the Constant Home Comfort blog below! 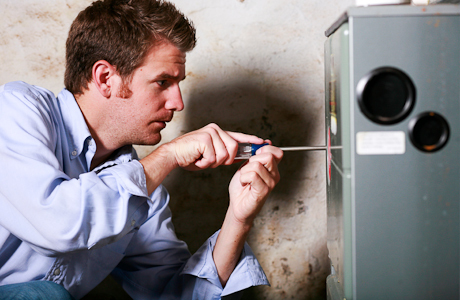 Making sure your furnace is maintained year-round (and not just at the start of Winter!) is one of the key ways to keeping your furnace in good shape. Make sure to clean the combustion chamber, inspect the flue pipe, replace the oil filter, and change the air filter well before the cold weather hits. Another better, and often safer, option to DIY maintaining is to hire a professional for routine furnace maintenance services. These HVAC professionals will know what crucial spots to check in your furnace to make sure it is working to the fullest of it’s efficiency. For example, the furnace service offer by us at Constant Home Comfort includes a whopping 21 point inspection which looks at not only the cleanliness of the furnace (like many others, but also the parts and lambour elements associated with the furnace. Another perk of using a professional furnace maintenance service is that the HVAC technician will be able to provide you with a professional opinion on when it is time to replace your furnace. Replacing old, inefficient furnaces is often the best and easiest way to say money! If you’re looking to make your furnace as energy efficient as possible, look no further than Constant Home Comfort. With 24/7 services at low and reasonable rates, you’ll be able to make sure your furnace is prepared for the Winter ahead, whenever you want. Have your furnace maintenance service done today! Call Constant Home Comfort for same-day service at 1-888-829-1875!